From the outside, a beaver dam looks like a heap of sticks, but a closer look reveals the insane amount of effort and detail that goes into building each structure. At a rate of five feet per day, beavers use mud, sticks, and rocks to construct the multi-chamber, watertight dams that hold their families and store their food. In the 1960s, Swedish biologist Lars Wilsson wanted to know if this industrious behavior was learned or innate. He decided to capture four adult beavers with the intention of raising them in different habitats. Some were kept in an outdoor enclosure and others in a glass-walled terrarium indoors. When a new generation of beavers was born, he chose a few of them to raise in isolation in order to study which of their behaviors were instinctual. He discovered that when released into running water, the young beavers built near perfect examples of dams on their first try. Wilsson then tried a different experiment where he placed the beavers in still or very slow-moving water. The subjects responded by burying themselves in the mud and making no attempts to build. It was only when Wilsson played them the sounds of running water through a speaker that their instincts kicked in. Suddenly the beavers were compelled to start building over the speaker, convinced that it was the source of the leak. When the sound was played for them through a loudspeaker on concrete, the beavers still built their dam over the dry floor. Even when presented with a clear pipe that showed water (silently) escaping through their dam and a speaker that played them the sound of running water, they chose to build over the speaker and ignore the clearly visible leak. This instinctive quirk makes beavers easy for people to manipulate. 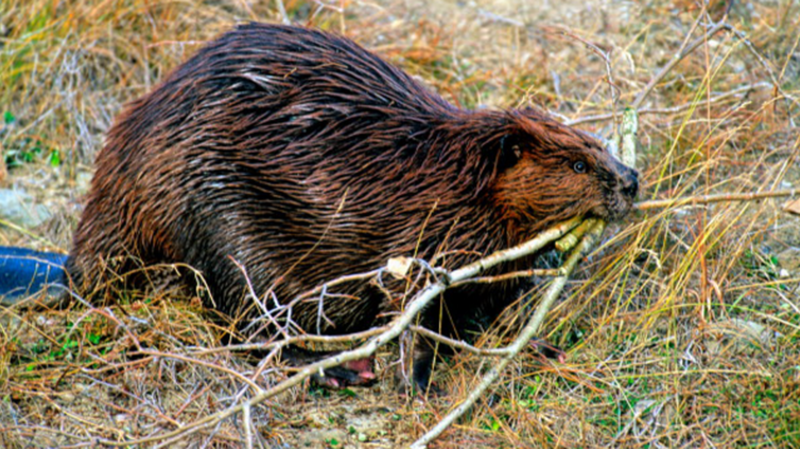 Instead of demolishing the dams that overflow river banks and damage property, a special, silent outflow pipe can be installed that diverts the water under the beavers’ radar. If blocking the sound of the pipe is impossible, people will sometimes make small holes in the dam around the pipe, which the beavers will innately plug up instead. For some reason, all those wicked dam-building skills now seem a lot less intimidating.